The emergency personnel were shown points of entry so that they could reach passengers in a manner that's quick but safe. That included a demonstration of how to use fire axes to get into the train. 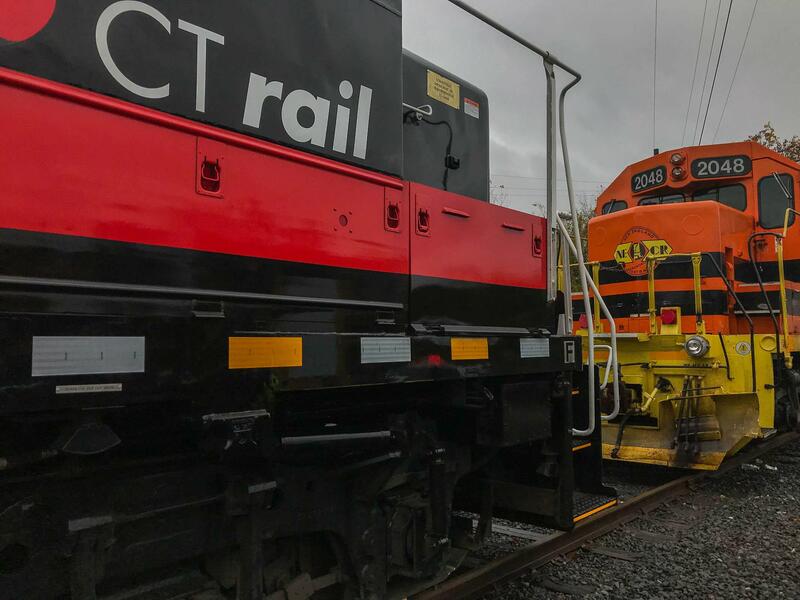 It was the first training of its kind since the state launched CTrail’s Hartford Line in June. Reginald Freeman, Hartford’s fire chief and emergency management director, said he was grateful for the opportunity to drill. “For us, being able to get hands-on to be able to isolate the power of the train, make sure the brakes are properly applied, to go through to conduct search-and-rescue, provide EMS care for a mass casualty incident, that opportunity does not come around often enough,” said Freeman. A CTrail train "hits" a G&W freighter head-on during Saturday's mass casualty train wreck drill on Windsor Street in Hartford. A similar simulation will be held annually. Once a dispatcher notifies the Department of Transportation about an incident, it’s that department’s job to inform the public and communicate with various state agencies. Redeker said that the department will conduct this kind of exercise annually. A report based on notes taken at the scene will be available to the department and first responders. Also, a video crew filmed the day’s events, so trainees could look back at that. One of the two questions featured on statewide ballots will give Connecticut voters the chance to decide if money earmarked for transportation should be kept in a lockbox.